Russia is preparing to mark the defeat of Nazi Germany on May 9. But the Baltic states attach a much different meaning to Victory Day, saying it marked the beginning of a Soviet occupation. Red Army veteran Vasiliy Rubtsov was among several hundred thousand Soviet soldiers with a mission to liberate the Baltic region from the Nazis. He remembers sixty-four years ago like it was yesterday, when death was staring him in the face. “Once we were holding defense at a hill in Latvia. Germans were nearby. Once they attacked us with artillery, and the next minute we heard “Hands up!” We were surrounded, so we made a decision to call supporting artillery units, and tell them to fire on our position,” Rubtsov remembers. Vasiliy was one of the few to survive that hell and live to tell the tale. Visvaldis Lacis also did. The difference is that the two fought on different sides. Lacis – now the oldest deputy in Latvia’s parliament – served for the Latvian Legion of Hitler’s SS troops. However, he claims that he didn’t have much choice. “After defeat in Stalingrad, the Germans needed more troops. And they knew about the strong anti-Soviet moods in Latvia. When they came here, they gave us no choice, so we had to join the Waffen SS. We didn’t resist, fearing they would kill us,” Lacis recalls. Just as in some other post-Soviet countries, the evaluation of history has become a sensitive issue in Latvia. It is here that commemorations of those who died for their country have a double meaning – Victory Day gatherers rub shoulders with marchers praising SS fighters. 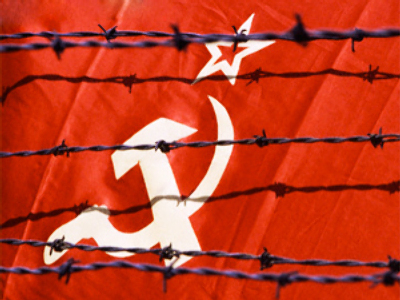 The role of the Soviet army in Europe’s liberation is the cornerstone of the debate. And while Russia and many other post-Soviet states mark May 9th as the victory over fascism, it has a different meaning in Latvia. According to the county’s leadership, it was here on this day that what it calls the Soviet occupation began. More than 160 thousand Soviet soldiers died in the fight for the Baltic states. Many more perished as war prisoners in Nazi concentration camps around the region. And this is something that the ethnic Russian part of Latvia’s population, of which it makes up almost a third, says must not be forgotten. “Nazis occupied the whole of Europe, they built concentration camps everywhere. 2 million children died in concentration camps. That’s what the Red Army fought against. But now those who fought for it are denied citizenship in Latvia. They’re here to remind everyone about the horrors of concentration camps like Sauspils. Riga alone had 26 Nazi death camps,” says politician Sergey Zhuravlev. But Latvia’s current leadership sticks to a different view. A museum of Latvia’s occupation was opened in Riga shortly after the USSR’s demise. Here, the Nazi occupation is equated to Soviet control over the country, which followed the war. Imants Paradnieks, a leader of the nationalist movement “All for Latvia” says that’s why May 9th will never be a state holiday to a native Latvian. Latvia isn’t the only post-Soviet state where events of the past still make waves in society. The same goes for Estonia, Lithuania, and Ukraine. But Vasiily Rubtsov says he doesn’t care much about what many describe as a 're-writing of history.' He says that for him only one truth matters – there’s no more war.